In recent years, our conceptualization of literacy has broadened. Visual literacy, technology and engineering literacy, and workplace literacy, for example, expand the concept of literacy to be more inclusive, more progressive ways of describing how we understand and communicate. While these “new” types of literacy apply in certain contexts and represent important ways of communicating in those contexts, at the heart of all literacy is a basic ability to communicate effectively through reading and writing. Since 1964, the National Assessment of Educational Progress (NAEP) has measured and categorized American students’ academic achievement. According to the Nation’s Report Card for 2015, 36%, 34%, and 38% of 4th, 8th, and 12th graders, respectively, scored at or above the proficient level in reading. The 2011 Nation’s Report Card reported that 24% of 8th and 12th grade students scored at or above proficiency on the writing assessment. However, 54% and 52% of 8th and 12th graders, respectively, scored only at the basic level. Additionally, there continue to be significant differences between achievement scores of racial and ethnic groups. According to these measures, some children are learning to read and write adequately in school, but many are not. Despite limited progress in effecting large-scale change, research has actually provided many answers about how to support literacy learners. 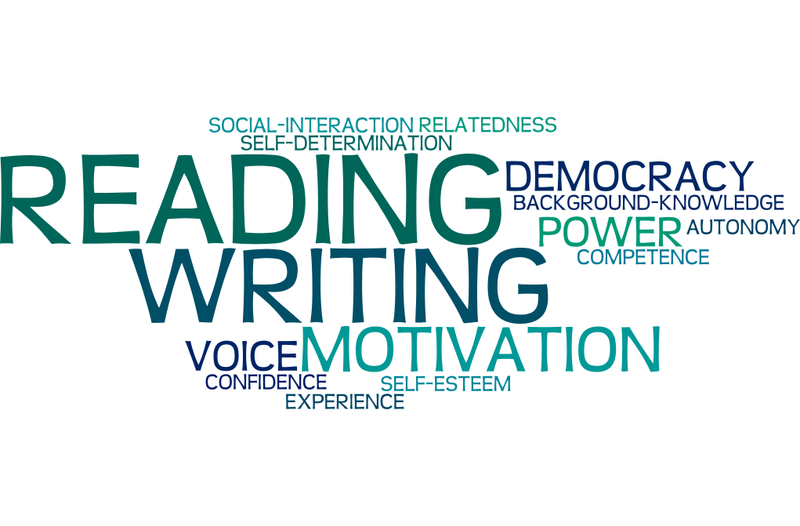 This research provides insights about the reading and writing processes that can inform literacy programs that will encourage all students’ active and successful engagement. The Reading Process. Research has shown that reading involves the active construction of meaning using the words provided by the author in combination with the reader’s own background knowledge and experiences. Reading can be seen as an interaction between the author and reader, which emphasizes the reader’s purpose and background as filters through which the text is interpreted. This is no small feat as it means the reader begins with experiences, beliefs, and purposes and coordinates word identification and comprehension strategies, vocabulary understanding, and motivation. In addition, successful readers continually monitor their reading and apply strategies to have a successful reading experience. The Writing Process. Writing is, similarly, an active construction of meaning using words. Typically, writers engage in a process that begins with planning and writing a rough draft. A writer may make many revisions before finalizing the writing, which culminates in a final product that is publicly shared. Writing requires an understanding of conventional rules of a language, including grammar and punctuation. Successful writing also requires skill at written expression and knowledge of rhetorical devices. Motivation. Motivation is sometimes simply defined as an intention to act, but motivation is far from simple and continues to be the biggest concern of many teachers. Research has identified several factors that influence a person’s motivation including relevance, interest, challenge, choice, self-efficacy, and personal goals. While these findings provide some guidance for facilitating someone’s motivation, as isolated factors, they are insufficient for explaining or addressing a lack of motivation to read and write. The following theoretical foundations provide a more holistic, comprehensive approach to literacy and literacy motivation. Social Constructivism. Learning occurs when knowledge is actively constructed, not simply handed over from teacher to student. This means that the learner is actively engaged in processing ideas and making connections. Most importantly, social interaction is a critical element in the learning process. We learn as other people provide supports that enable the processing of ideas and facilitate the making of connections. Central to a social constructivist view of literacy is that language, both oral and written, is a tool that enables learning and intellectual growth. Self-Determination. A robust explanation of human behavior and motivation comes from self-determination theory, which states that human beings share three universal basic needs. First, autonomy refers to having a strong sense of self that enables a person to act authentically and to endorse his or her own actions. Second, competence is the sense that one is capable and confident to accomplish tasks. Third, relatedness describes a need for supportive, nurturing relationships. Motivation, engagement, and overall well-being develop in autonomy-supportive environments where an individual’s need for competence is satisfied and the individual is bolstered by strong social support. Within this holistic context, the previously-mentioned factors (relevance, interest, choice, etc.) can be more effectively integrated. In conclusion, literacy is a complex process that has been widely studied. This research has resulted in a strong knowledge base about literacy learning and training. We now know much about instructional techniques and materials, assessment and testing, social interaction and classroom dynamics, motivation and achievement, and how to apply this knowledge to literacy learners of different ages and diverse backgrounds. Every individual, regardless of age, religion, gender, ethnic background, or sexual orientation, has a right to a strong, sound education that provides excellent literacy skills. Literacy Matters supports this right.